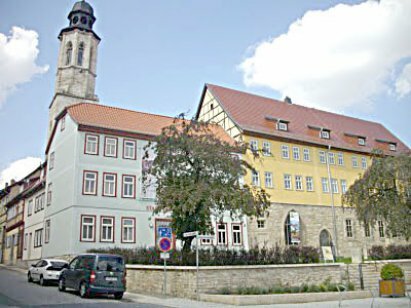 The over 800 year old remains of what was once the Augustinian Monastery are now home to the city museum of Bad Langensalza. Here one can see a variety of rotating exhibitions throughout the year. The remains of the Late Gothic cloister walk, the authentically restored chapel, remains of the walls of the refectory and nave, as well as a second inner courtyard all bear witness to the monastery that once stood there. In addition to the historical traces, the architectural remains serve as a wonderful backdrop for outdoor events. 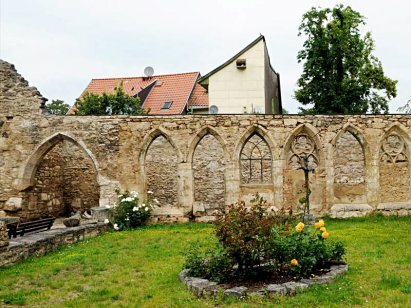 It is here in the Bad Langensalza, the city of health springs and roses – in the vicinity of the world nature heritage “Hainich” – that the Augustinian Monastery was founded in 1280. Aside from Erfurt and Gotha, the monastery in Salzaha was the third one the Augustinian Friars founded in Thuringia. It functioned as a working monastery until the Reformation was introduced in 1539. Martin Luther visited the monastery on May 29th, 1516. A memorial plaque serves as a reminder of this famous guest. In the spring of 1515, Martin Luther was chosen to serve as District Vicar with oversight for ten (later eleven) conventicles of Augustinians in Saxony and Thuringia. He responded energetically to these duties.